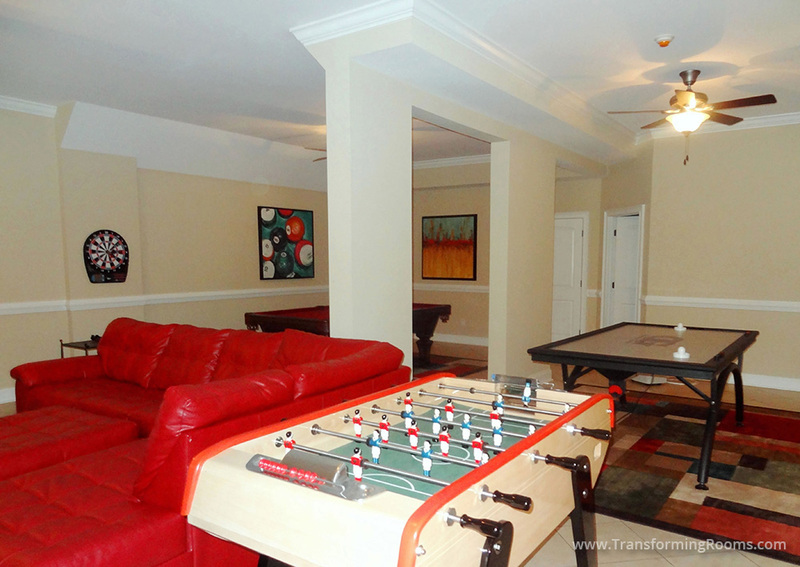 A family of 7 gets good use out of this game room in Summerfield, NC. A pool table, foosball, air hockey and a large leather sectional in bright red. Notice our fun colorful art which makes the space more inviting. What more could you ask for on game day? 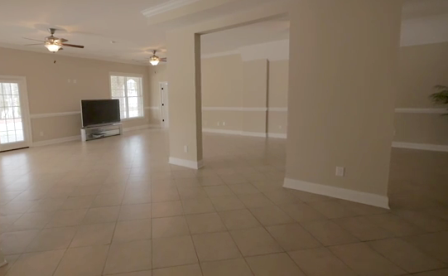 Other than the huge flat screen TV which is on the opposite wall, (not shown) but it's definitely there!